Nature's way of balancing pest management and why organic produce is the mightier choice for you. Researchers concluded that the additional “stress” of an organic farming operation makes the plants boost their production of phytochemicals. In other words, the plants must cope with greater challenges from natural insect predators and disease so they respond with a higher output of defensive compounds, which can benefit people, too. Organic fruits and vegetables may not be as big and beautiful as regular produce, but appearances can be deceiving. A study of organic tomatoes found they are packed with a much higher concentration of healthy compounds than the conventionally grown variety. And that suggests being smaller and less attractive can sometimes be better for you – at least when it comes to the food supply. For the study, the researchers selected tomatoes from an organic farm and a conventional operation located 1.5 kilometres apart in northeastern Brazil. So the plants were raised in roughly the same weather and soil conditions. The organic farm used animal manure for fertilizer and a naturally based fungicide, while the conventional farm relied on a chemical fertilizer and pesticides. From outward appearances the organic tomatoes did not do so well – they were roughly 40 per cent smaller than those grown conventionally. But a detailed analysis, published in the online journal Plos One, revealed the organic variety contained elevated concentrations of vitamin C and other phenolic compounds. “The contents in phenolic compounds and in vitamin C were 139 per cent and 55 per cent higher, respectively. That is quite a lot,” one of the researchers, Laurent Urban of the University of Avignon in France, said in an e-mail interview. The researchers, led by Raquel Miranda of the Federal University of Ceara in Brazil, concluded that the additional “stress” of an organic farming operation makes the plants boost their production of phytochemicals. In other words, the plants must cope with greater challenges from natural insect predators and disease so they respond with a higher output of defensive compounds, which can benefit people, too. For instance, vitamin C and phenolic compounds act as antioxidants, neutralizing free radicals that can cause cell damage. Previous studies have shown that a plant-rich diet is associated with a lower risk of cancer, heart disease and other illnesses. The researchers noted that the agricultural sector has been primarily focused on increasing crop yields. “This might be all right for staple food, but as far as fruits and vegetables are concerned, it may be argued that gustative and micro-nutrient quality matter more than energy supply,” they write in their study. In the meantime, Urban pointed out that many people don’t eat enough fruits and vegetables to reap their potential benefits. Those grown organically at least contain more nutrients per mouthful. What’s more, this type of agriculture isn’t associated with the same level of pesticide residues found in some conventionally grown crops, he added. I read with interest your editorial on the delay in setting up a compostables collection network. I’d like to add my voice to those suggesting finding local solutions and point to a couple of kinds of “low hanging fruit” in managing organic resources currently being treated as waste at great expense. The first group are the materials that can be successfully “lawn composted”: grass clippings and deciduous fall leaves. The right tool for this is the now ubiquitous mulching mower. Research funded by the golf-course industry has shown that both grass clippings and a surprisingly large amount of fall leaves can simply be shredded into turf with no harm to turf quality, but instead, improvement of the soil. This costs less labour than collecting; fall leaves can be shredded into turf in a third the time it would take to rake and bag them, with no demand on the public fisc for hauling and composting and re-hauling the compost to your neighbourhood. In many ways, our old habits are dying hard for no good reason, since this is a method that requires not more work, but less. The second low hanging fruit out there are spent coffee grounds. Coffee grounds are sterile, high in nitrogen compared to other compostables, and have no weed seed or pathogen issues. Once dried, they can be stored, bagged and resold to the public as a soil amendment, already in particles suitable for spreading with any ordinary fertilizer spreader. While the mulching mower is now everywhere, here a good technology needs to be developed to rapidly dewater and dry coffee grounds with minimal energy expenditure — some combination of draining, pressing and solar drying would probably fill the bill. Coffee sellers like Tim Hortons, McDonalds, Second Cup and Starbucks process hundreds of tons of coffee grounds in our area and have the resources to save the environment a huge amount of hauling around of unnecessary wet materials. Some combination of cost avoidance, sales revenues and positive PR should make this economically a winner. Some similar dehydration technology might be used in the treatment of other kitchen wastes, which, like grass clippings, are mostly water, and which become rapidly putrid when enclosed in an air-free container, like a plastic bag or even a green bin. This is why central composting will always generate some nuisance factor in its immediate neighbourhood, since the anaerobic wet materials will always bring in a stench, even if composting will eventually eliminate it. Local worm composting is a potential solution in some situations where a stream of kitchen-type wastes can pass directly from the kitchen to the worm area without being closed up and allowed to get stinky. This can also serve as a way to use some of the paper that flows through our city, including The Gazette, soiled cardboard and paper that might otherwise not be eligible for paper recycling. Vermicompost thus made can also be dried down somewhat before being taken for use in gardens, yards and other applications, thus lightening the load on hauling requirements. Keeping organic resources out of anaerobic landfills is a worthy goal, and even hauling them to compost sites instead is better than letting them generate methane, 30 times the greenhouse gas carbon dioxide is. But, the right approach to organic resource management is to find the best and lowest cost way of treating them as locally as possible. In this way we can improve our soils and capture carbon there while burning up the least amount of carbon fuels in the process. Saving seeds can help gardeners save money, grow better crops and become more self-reliant. Learn all about saving vegetable seeds. When you save your own seeds, you are joining a chain of farmers, gardeners and seed savers that dates back to the Stone Age. All domestic crops were once wild plants that early humans selected to feed themselves or, later, their livestock. Today, gardeners save seeds for many reasons. 2. Seed Security. Hundreds of excellent plant varieties have been discontinued as big corporations have consolidated the seed industry and focused on more profitable hybrids. If you save your own seed, however, you control the supply. I save seed for ‘Miragreen’ and ‘Blizzard’ peas, ‘Lutz Green Leaf’ beets, and ‘Scarlet Keeper’ carrots because these varieties all grow well here in Maine but have become difficult to find in seed catalogs. 3. Regional Adaptation. This is where saving vegetable seeds can get exciting. Most commercially available seed has been selected because it performs fairly well across the entire country if given synthetic fertilizers. (Several companies now offer seeds selected specifically to perform well in organic conditions — but this isn’t the norm.) When you save seed from the best-performing plants grown on your own land and with your unique cultural conditions, you gradually develop varieties that are better adapted to your soil, climate and growing practices. 5. The Joy of Learning. Some people are drawn to the science of seed saving because they want to take their gardening experience to a higher level. The more seeds you save, the more you inevitably learn about botany and the plant kingdom. 6. Explore Heirloom Varieties. Some folks like to grow heirloom varieties because doing so gives them a connection to our garden heritage. Others choose non-hybrid seeds because they don’t want to support the industrial agriculture system that increasingly controls our food supply. Plus, some older, open-pollinated varieties produce more nutritious crops than do modern hybrids bred mostly for high yields and long shelf life. 7. Influence Crop Traits. Gene pools are incredibly elastic. By carefully observing your plants, you can save seed from those plants that best meet your needs for germination, ripening time, yield, specific fruit shape, flavor, storage qualities, less seediness, better disease resistance, bloom color, or other unique traits within the variety. With time, most of the plants you grow will have your desired traits. For instance, I obtained ‘Elka,’ a Slovakian poppy seed traditionally used before walnuts became commercially available. The Slovaks saved seeds from only the seed heads with the smallest vents — the little holes below the cap that allow the precious nutty seeds to disperse — until eventually their variety had all unvented heads that shed no seed. When I first grew ‘Elka,’ only two-thirds of its seed heads had no open vents. I started selectively saving seed only from the poppy heads that had closed vents. Within three years, all of my plants had seed heads with no open vents, and I didn’t lose any more seed. Think ahead and create specific goals as you save seed. If you’re saving an heirloom, are you trying to keep it true to its original traits? Are your seed-saving practices changing the plant? 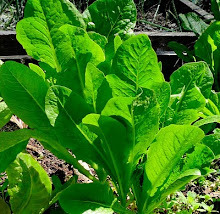 If you save seed from the first lettuce plant to bolt, you are selecting for lettuce that bolts early — not a good trait in lettuce. If you save seed from your tomato plants that did not succumb to late blight, you are selecting to improve that variety’s disease resistance. When I started growing ‘Czech Black’ hot peppers, the fruits varied greatly in shape, from fat peppers with large seed cavities to slender ones with almost no seed. Most were medium-sized fruits that came to a blunt point. If I’d just wanted to save the most seeds with the least amount of work, I could have saved the fat peppers that had the most seeds. But I was trying to produce a seed crop to sell and it needed to be true to the plant type, so I saved seed from the medium-sized peppers growing on the sturdiest, highest-yielding plants. After four years, the peppers were uniform in fruit size and heat — plus, the plants were sturdier and more productive. There are two main types of open-pollinated varieties: self-pollinating and cross-pollinating. The easiest crops to save seed from are peas, beans, tomatoes and peppers, all of which are self-pollinating crops. Self-pollinating plants pollinate themselves, usually before the flowers open. The seed that you save from these plants and grow the next year will yield plants just like the original ones. To maintain the plant’s genetic diversity, you should ideally grow and save seed from 20 or more plants. If you save seed from only one self-pollinating plant, the plant will reproduce, but you are narrowing its genetic diversity. 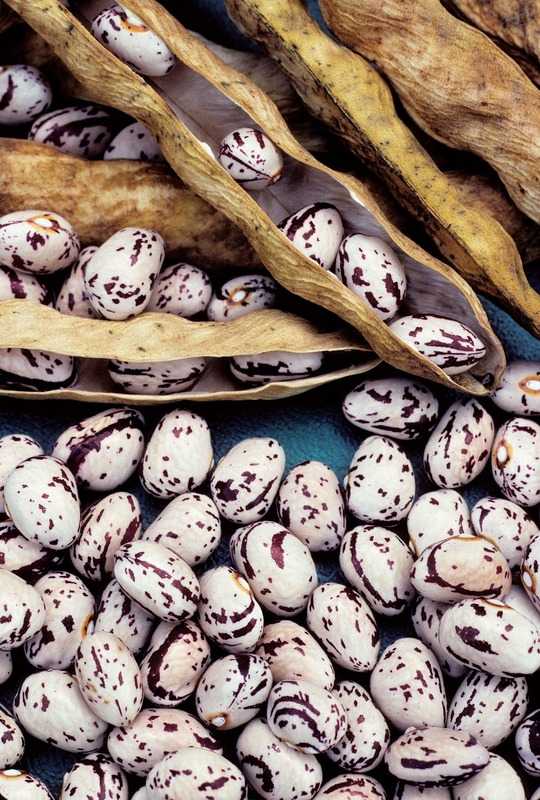 To save seed from legumes, such as self-pollinating peas and beans, simply allow some pods to dry on the plant. Save the leftover seed at the end of your picking stage, or cordon off a section of the row. As the plants will need to be in the garden longer than the “green” stage, allow for this in your garden plan. Different varieties grown right next to each other will have minimal or no cross-pollination, but ideally you should separate varieties by 20 feet to avoid rare cases of cross-pollination. If you want to save seeds for several varieties of a cross-pollinated crop in the same garden, a physical barrier such as a screen cage or row cover can keep the seed crops isolated. I use wire hoops and row covers on some seed crops to keep them pure. I also alternate years, growing one variety one year and another the next. My ‘Lutz’ beet seed crop produced enough seed to last five to 10 years, leaving me free to produce other beet seed crops in the interim. If you’re growing a crop for seed, think ahead of time about spacing. Tomato, pepper or bean plants don’t need more space as seed crops, but biennial beets and carrots do because of how large the seed-producing plants will be in their second year. Beet plants that I set out the second year from roots I stored in my root cellar grew to 3-foot-wide plants. As large seed crops grow, also think about feeding them. I give my seed crops extra nitrogen and minerals during seed production. When saving seeds, good record keeping is essential. Label your seedlings, your planted rows and your stored seed. I keep a map as a backup record, too, in case a critter makes off with a row marker or weather washes away a label’s ink. If you spot an interesting off-type, you can save seed and grow it out the next year to see what happens. You may be on your way to creating a new variety — or at least embarking on a little botanical adventure. Seed crops are harvested at different times than food crops. I often tie off an entire section of a row with ribbon and save all of the seed from that section, leaving it long after the rest of the plants have been removed. Watch plants that produce pods; when the pods are dry but not shattering, they are ready to harvest. I find handpicking pea pods easiest, at least on a small scale. I harvest entire bean and soybean plants and hang them until they are completely dry, then thresh them in a clean bucket. Blow off the chaff using wind or a fan, or sift it through a screen. Flower heads are usually hand-harvested as they dry. Morning glories and vine crops often mature their bottom seed husks or pods first and progress up the vine as the season goes on. Spread the seed heads out to dry, rub them back and forth between your hands to free the seed, and then winnow or screen away most of the chaff. Tomatoes, peppers, eggplant and cucumbers can be picked as individual fruit. Let the fruit become very ripe to overripe to ensure mature seed. Leave cucumbers on the vine until they mature past the yellow blimp stage. Eggplant should be starting to brown and rot. Tomatoes and peppers need to be very ripe or just past ripe, or picked close to ripe, and then stored until fully ripe to overripe (a process called “after-ripening”). Tomatoes and cucumbers are “wet” seeds: They have a gel sac around each seed that hinders germination and, in rare cases, can harbor disease. They need to be soaked to remove the gel sac. Squeeze the tomatoes or scrape the seed from the tomato cavities into a labeled container, covering it to keep out flies. Allow the seed to soak for 24 to 48 hours. Add more water after soaking. The good seed will sink while the immature seed will float along with the pulp. Pour off the pulp. Add more water and continue to pour off the pulp until all that remains is clean seed on the bottom. Pour this seed into a strainer to drain off all liquid, and then spread the seeds out to dry in a cool, airy place. I spread my seed on newspaper. Paper plates also work, but paper towels are too fibrous and will stick to the seeds. Label the newspaper or paper plate with the variety name. When the tomato seed is half-dried, stir it to make it less clumpy. After seeds have completely dried, break up any remaining seed clumps and pack the seeds for storage. To save eggplant seed, grate the fruit or put it through a food processor, and then add it to water. The seed will sink and the pulp will float. Peppers are even simpler: Just cut fruits open and remove and dry the seed. For much more on seed-saving procedures for different crops, see the books Saving Seeds by Marc Rogers and The Complete Guide to Saving Seeds by Robert and Cheryl Moore Gough. Store dried seed in glass jars, plastic bags or paper envelopes. Glass is best, as it does not allow moisture into the seed. Store seeds in a cool, dry place — ideally at less than 50 degrees Fahrenheit and at a relative humidity level of less than 50 percent. In general, for every 10 degrees colder the storage conditions, seed longevity doubles, so it’s best to keep seed in a covered container in a refrigerator. As long as the seed is very dry, it will last longest if you keep it in a freezer. All seed should be dried to a brittle state, ideally to less than 14 percent moisture (the level at which ice crystals won’t form on seeds if stored in the freezer). When you’re ready to use seeds that have been in freezer storage, allow the storage jar to come to room temperature before opening it to avoid condensation on the seed. Different types of seed have different life spans. Many retain good germination for only a few years, while others stay viable for an impressively long time. Some classic one-year wonders are parsley, parsnip and onions. They may last a second year, but germination and vigor will be much lower. In general, pepper seeds maintain good germination rates for two years; legumes and carrots, three years; squash, beet, eggplant, tomato and brassicas, four years; cucumber, five years; and lettuce, six years. Exact storage conditions affect longevity greatly, however, and seeds from some of these crops can last 10 years or more. You can do a simple germination test by loosely rolling a few dozen seeds in a moist, white paper towel, keeping it covered with plastic wrap and slightly moist to sprout the seed. Most seed will sprout in four to 28 days. If it takes longer or if less than 50 percent of the seeds sprout, you should probably toss the seeds. If you end up with more seed than you can use, find a local seed swap. You can trade or share your seed, and you’ll come home with new, locally adapted seed varieties as well as a head likely spinning from all of the knowledge you’ve gleaned from fellow gardeners who share a love of growing great food. Organize a seed swap near you, and have MOTHER EARTH NEWS help you get the word out. If you’re interested in selling seeds that you produce, contact a seed company’s purchaser to inquire about which crops the company needs grown. Specify your areas of expertise. Most seed companies contract for specific strains or varieties one to three years ahead of time. If you pitch your favorite variety to a seed company, the representatives will want a seed sample so they can trial or observe it for a year or two. Then, if they’re interested, they will contract with you. Some seed companies have tight legal contracts and deadlines. Some use just verbal commitments, however, and you can provide a contract if you want more insurance in such cases. Prices paid vary with each seed company, and certified organic seed commands higher prices. My experience selling organic seed has been the following: tomato seed at $360 per pound; peppers at $40 per ounce; flowers from $10 per gram for tiny seed to $50 per ounce; hardy, rare rice at $10 per ounce; peas and beans at $5 per pound. A small seed company may only need a few ounces of seed. Larger companies rarely deal in small lots, requiring 1 to 20 pounds of small seed, such as that of tomatoes. Inquire upfront about amounts needed. The Organic Seed Alliance provides education and advisory services for seed savers and is an excellent resource. What's the best ecological magazine in the world? "Planet Earth," with all articles written and edited by M. Nature. Articles range from the very simplest to the most complex. I've been pleased with what I've learned from it so far. ~ Patricia Ruggiero, Organic Gardener, Virginia, U.S.
Find out what pesticides are on your food with this valuable tool. What about GMO's? How to avoid GMO food.